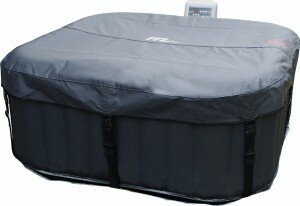 The MSPA Alpine inflatable hot tub is another example of the oddly-shaped tub’s on the market, but it is breaking the mould in other ways as well. As some of you may know if you have used an inflatable tub before, the sound they produce can be excessive. I have found that, especially with the larger heating systems, the relaxing drift of my thoughts has been thwarted by the steady rumble of the tub below me. And don’t even get me started about when the jets are on! The great thing about the MSPA is that, with an inbuilt heating system, the sound from the generator is non-existent. You can completely immerse yourself in the pleasure of the warm water and the massage jets without feeling like you are gatecrashing on a construction site. 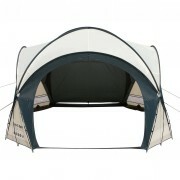 The MSPA 2 by 2 claims it can hold two adults and two children comfortably. It is not ideal for families of five or more, and unless you have a sulky teenager that sits in his room all day playing video games, never to emerge into the world, then I would not recommend the MSPA for you. This is the first tub that I have reviewed which has included ‘children’ in it’s capacity estimate. I feel that really, this works against the tub in seriously limiting the people that are going to see it as a viable purchase option. My brother, by the age of 14 was encroaching on 5 foot 11, so I would argue that really, he would be considered an adult in size regardless of his age. To test out whether the MSPA can accommodate 2 adults and two healthy sized young teens, I invited my neighbours over to give it a try. The kids are 13 and 15, and are, what I would consider, average sized for their age. With all four of us in the MSPA I can be honest and say that there wasn’t much room to move and enjoy ourselves. If you are a young family, this tub is great, but be warned that when your family starts to mature and they start outgrowing their school uniforms three times a year, it may be time to upgrade to a larger option. One other point about the MSPA ‘s size that has to be mentioned, is the incorporated heating and inflating mechanism. This may not seem relevant to it’s size, but trust me, once you have mapped out perfectly the spot where your tub is going to go, it is a right pain in the proverbial to remember that it has a heating system stuck on that also needs to be accommodated. 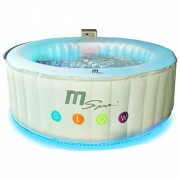 The MSPA is perfect for those of you that really want to feel the heat! 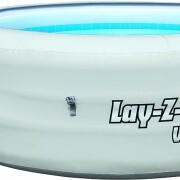 Unlike most other inflatable tubs available, it can get up to the temperature of 42 degrees. For me, this is excessive, but you may be one of those freaks of nature that can happily jump into a steaming bath without needing to ‘warm up to it’ (excuse the pun) for 10 minutes beforehand. Again, as mentioned, the heating element is included in the tub, and it is quiet as a mouse. This gives you all the peace and quiet that can be expected when you have two lively 10 year olds in there with you. As with most other tubs available on the market, the MSPA stops heating the water when the jets are on, important to note so that you heat freaks have ample warning to start boiling yourselves again. Last thing to say, is that the MSPA takes a good while to heat up from 0, so if you are planning on using it consistently, it may be a good idea to keep it at a nice comfortable temperature at all times so that heating it up for your next dip doesn’t take an age. The MSPA is an easy set-up, thankfully for those of you with young kids that barely have a hand free most of the day. 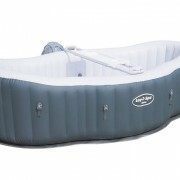 There is a DVD setup to follow, and the tub inflates in a very quick time. 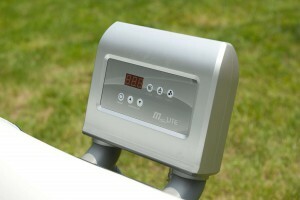 Fill it with water, set up the temperature you want it to reach using the control panel, and you are away. Thankfully, with the MSPA, there is no bulky heating system to arrange around the tub, so you can pick the spot you want it to go in and fit it in snugly, with nothing overhanging. Well, you have to give the MSPA marketing team some credit, as the MSPA is built out of self named ‘Rhino’ skin. 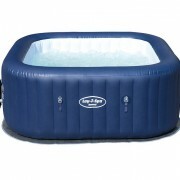 They claim that due to this high grade, tough material, the MSPA is more durable than any other tub out there. I can’t say whether this statement is true, as I have performed some pretty rigorous testing with the other tubs but parents can be safe in the knowledge that their terrible two, four, six or eight year old, is not going to cause any lasting damage to the MSPA. Again, as I keep mentioning, the fact that the heating and inflating element of the MSPA is inside the tub, is a pretty new and innovative feature, and I do not doubt that other manufacturers will be following their example very soon. As the MSPA targets specifically parents, and those with young children, safety is very very important. 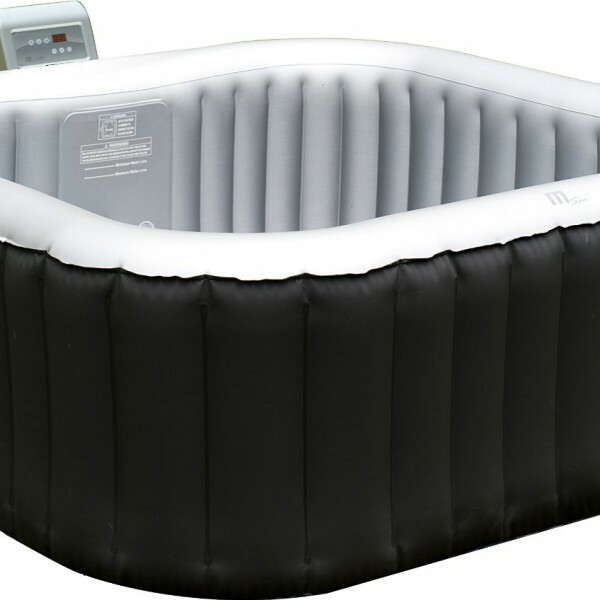 The inflatable cover that comes with virtually all other tubs, is not missing here. This will give you peace of mind, but as stated in every one of my reviews, please do not think of this as the be-all and end-all of safety. Watching your kids, and being with them in the tub, is paramount. The inflatable lid not only stops children getting in, but bugs and other debris, so the water stays clean for as long as possible. The MSPA is by no means the perfect tub for everyone. It is being produced by a fairly new, British firm, and as such has not been properly tested in terms of their customer service or reliability over a long period of time. Do not hold this against them, as the fact that they are a British firm and as such, easy to get a hold of, could be a massive plus point to you in the future. The MSPA is pretty great for those of you with young children, and it should not be overlooked in favour of some of the better known brands. 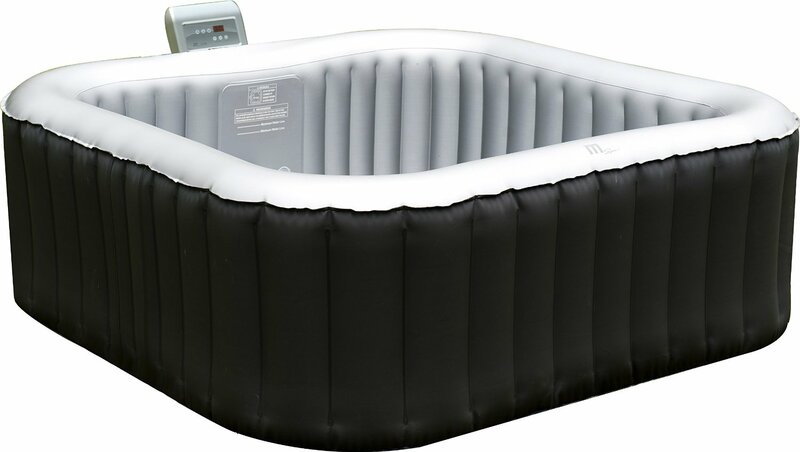 The quietness of the MSPA, and the innovative way it has combined the heating and inflating elements inside the tub, make it a very worthy competitor on the inflatable tub market. Only time will tell whether we are going to see the emergence of a new number 1.